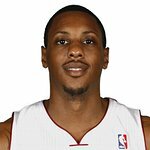 Mario Chalmers is an NBA star who plays for the Miami Heat. He founded the Mario Chalmers Foundation to create and support community based programs that encourage positive development of youth through sports and education. Google trends for "Mario Chalmers"
We don't have any videos related to Mario Chalmers.